Inspired from 1987 Opera House heist, Thaana Serntha Kootam builds its own world around the original incident, almost coming across as an original film. 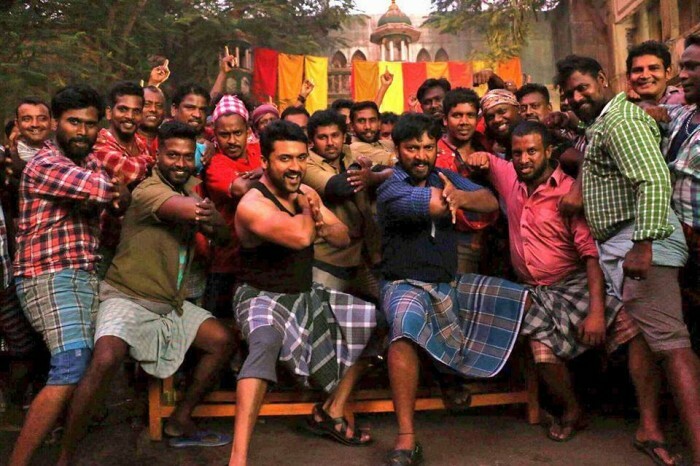 Thaana Serntha Kootam is exactly the kind of film Suriya should seriously consider doing once in a while, especially after an experimental attempt such as 24. Although it’s a remake of Special 26, kudos to Vignesh Shivn for making changes to suit the local sensibilities and the effort pays off, quite royally. Set against the backdrop of unemployment-laden society of late 80s’, with good mix of humour, drama and strong ensemble cast who rise to the occasion, the film is more entertaining than I expected. Inspired from 1987 Opera House heist, Thaana Serntha Kootam builds its own world around the original incident, almost coming across as an original film. 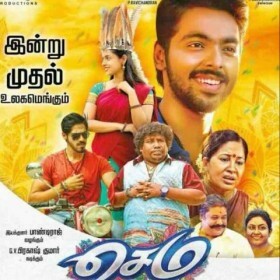 Unlike most star-centric commercial outing, this Suriya starrer gives ample scope for its supporting cast. Ramya Krishnan, for instance, is terrific for most part of the first half. Playing a character that wears its sensor of humour as a medallion, she is a delight to watch in the role originally played by Anupam Kher. Other actors such as Senthil, Karthik and Thambi Ramaiah have decent contribution to make. It’s amazing how Vignesh Shivn, while treading a predictable path, makes interesting deviations at important junctures to shake off some clichés. He also succeeds in shaking off Suriya’s star image and makes him play a role that’s fresh and quite unlike anything he’s done in recent times. 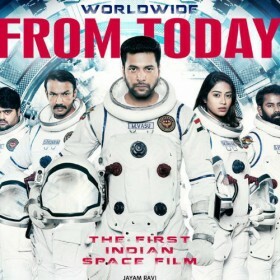 After an out-and-out fun first half, it is post interval where the film gets a tad intense and drags at times and the climatic deviation to dole out message is a minor let down. Nevertheless, if you loved Vignesh Shivn’s Naanum Rowdydhaan, you’ll enjoy Thaana Serntha Kootam even more. Suriya is at his charming best and his look is a lovely throwback to the days of Ayan. If Special 26 was a serious take on the Opera House heist, Thaana Serntha Kootam is more of a playful adaptation of the original.